Unfinished Birdhouse sanded and ready to paint. Size: 8 -1/4"" high x 6" wide x 5-1/2" deep. Bottom removes for cleaning (2 screws). As described, fast shipping, thank you! Solid birdhouse! Love it! Would definitely recommend. Awesome birdhouses—this is my second order! Great quality— so fun to paint—they really brighten up the yard!! I accept Master Card, Visa, Discover and American Express through my PayPal Merchant account and regular PayPal payments. I offer a 30 day money back guarantee. Customer is responsible for shipping back item in good condition to receive refund on product only. US48 orders are shipped USPS and some UPS. As of January 1, 2015 UPS now charges dimensional weight so most Wedding Cards holders are shipped through the Post Office (USPS Standard Post 2-8 Days). AK & HI orders are shipped USPS. Please inquiry about exact shipping charges before ordering. I currently ship to over 20 countries including Australia, Belgium, Canada, Denmark, Finland, Greece, Germany, Ireland, Italy, Japan, New Zealand, Norway, Portugal, Russia, Singapore, South Korea, Spain, Sweden, Switzerland, The Netherlands. International shipping I use USPS Priority International & USPS Priority International Express. Insurance is included in all shipping. If by chance an item is damaged in shipping please contact me and I will file claim for you and replace item a.s.a.p. Please keep all packaging and item in case UPS or USPS would like to inspect. I will also need your phone number for all claims. All my birdhouses are wrapped in bubble wrap, surrounded by crushed paper and shipped in a brand new sturdy corrugated box. Cedar Birdhouse Functional and Decorative. 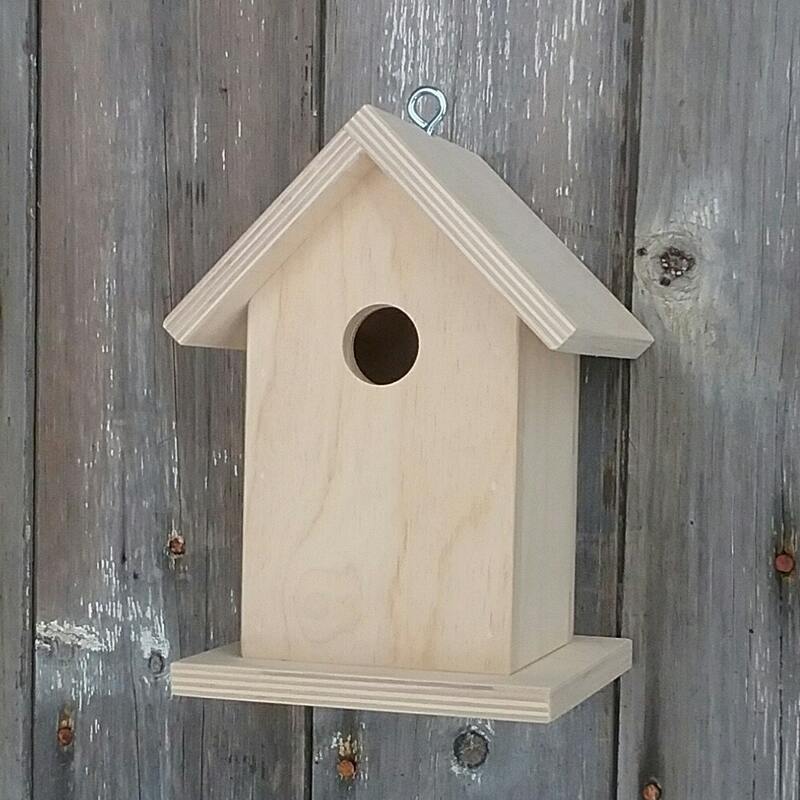 Painted Birdhouse made of solid cedar ready to hang. Unique Birdhouse sold exactly as pictured.